You guys will want to make one of these. 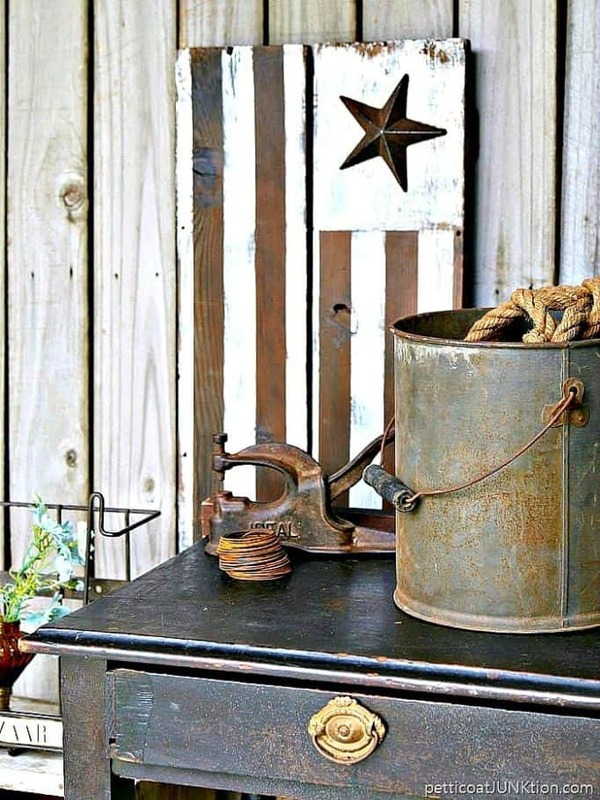 The farmhouse style Flag was super easy to make and fits any decor. The project has several steps but nothing difficult about it at all. 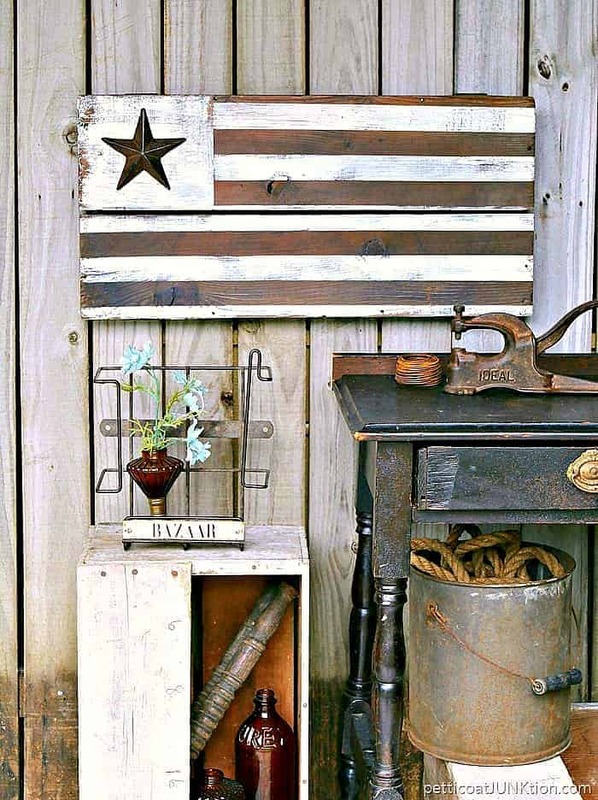 I call this my farmhouse style American flag because it isn’t red, white, and blue. I chose to stick with a neutral palette for this project. I completed the project in less than two hours. You guys know me, I didn’t measure anything and the flag is perfectly imperfect. Just how I like things. The board is a piece from my favorite junk shop. I pick up reclaimed wood any chance I get. 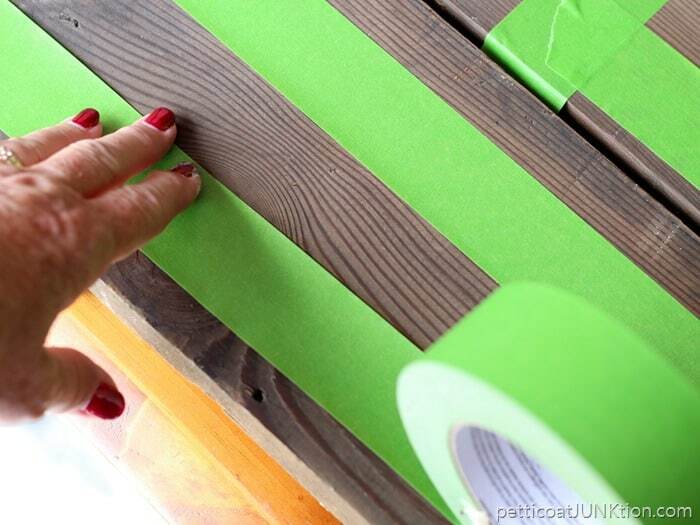 The pieces and parts come in handy at project time. 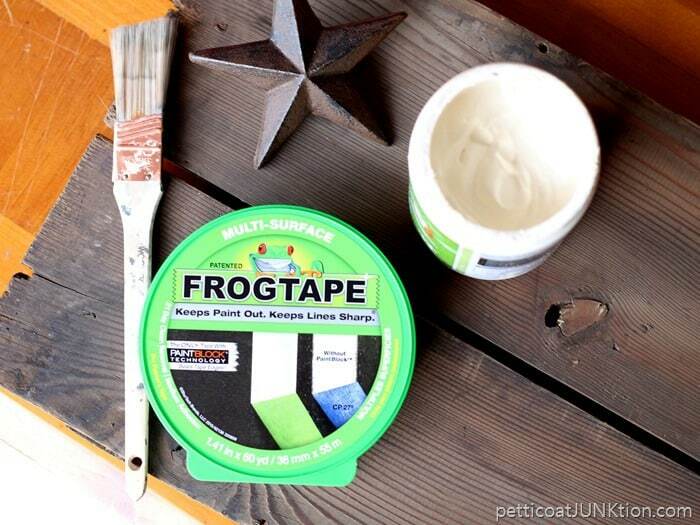 I used FrogTape to make the stripes. I didn’t measure anything…just eye-balled it. 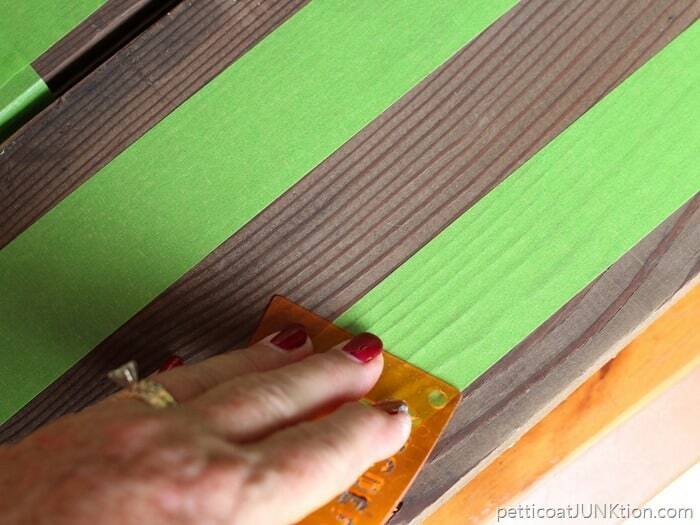 I tried to keep the stripes the same width as the FrogTape. It was the perfect size for the stripes. Here’s the video of the project…. I made sure the edges of the tape were good and sealed by using a flat plastic piece (similar to a credit card) and running it over the edges. I think this is called burnishing but not sure. That’s what I’ve always called it but the definition in the online dictionary is different. Maybe one of you guys know what it’s called. All taped off and ready to paint. 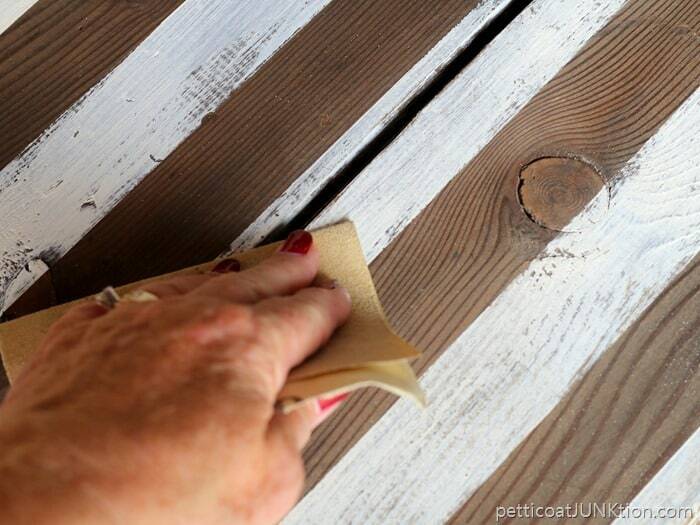 For the stripes I used off-white Reclaim paint. 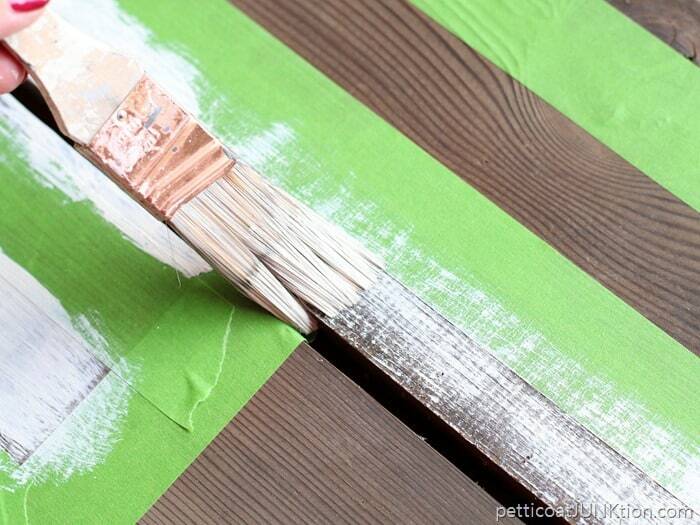 I didn’t worry too much about covering every speck of wood with the paint. Remember, I want the flag to be rustic. See how nice and clean those paint lines are? Love it. I wasn’t sure if I wanted to paint the area for the star but decided last minute to paint it. Just a little distressing to give the flag a worn look. 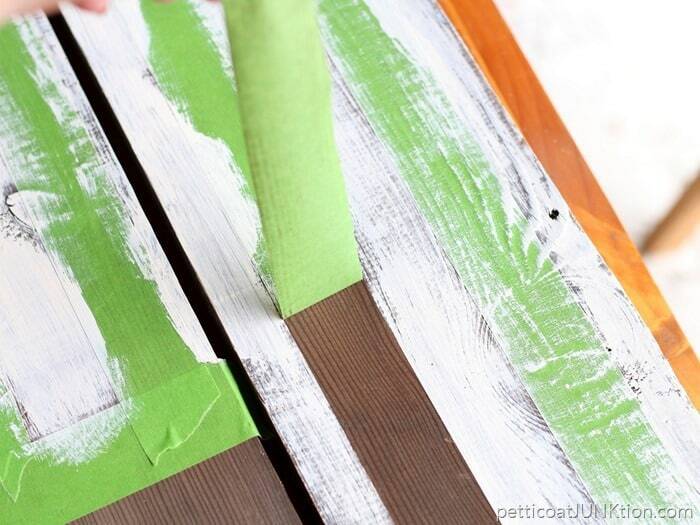 Another reason not to completely coat the stripes with white paint. 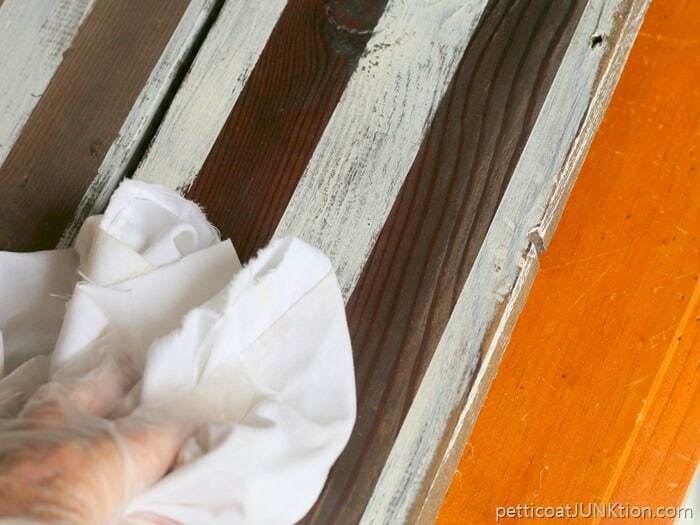 Howard’s Wax to seal, protect….and add patina. 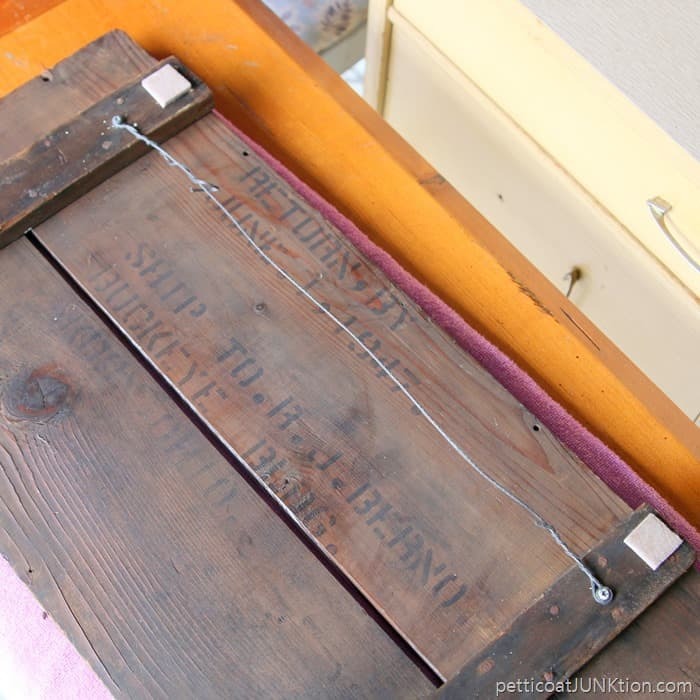 Do you guys remember this crate lid with the stenciled name? I didn’t paint over the back…saved the history. For the hanger I used two screws and picture hanging wire, and as always wall protectors on the corners. Most of the pieces I work with are a little rough and I try to do everything I can to make them “home friendly”. How do you like the flag hung vertical? I like that I can change it up. I wanted to go a different direction from the red, white, and blue. I still haven’t made the nautical flag with starfish as the stars. Maybe next Summer, I’m kind of out of the mood now. 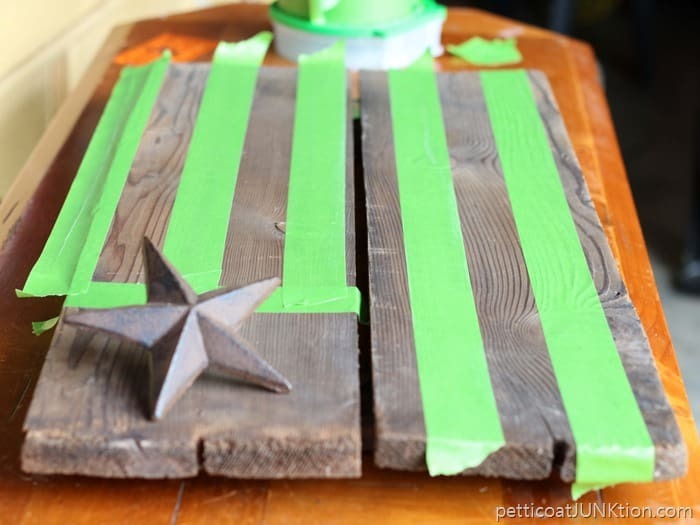 I made a rustic star flag in red, white and blue you can see here! 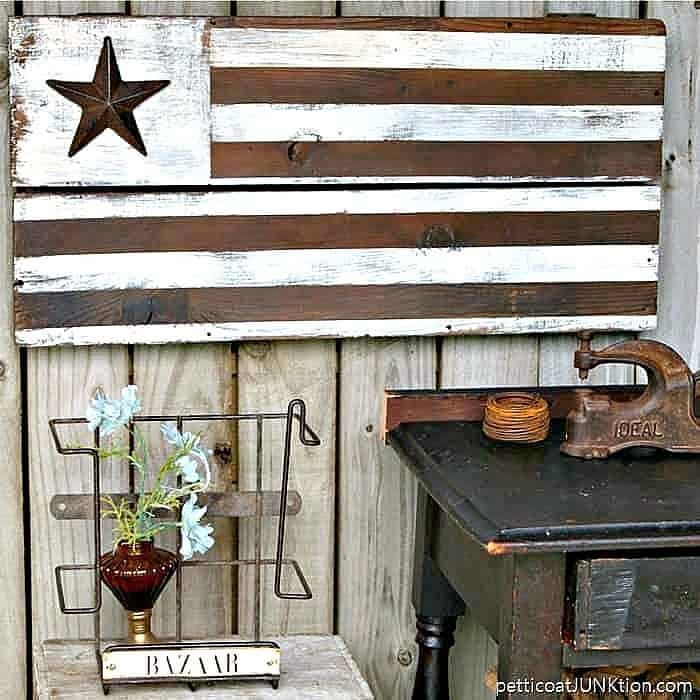 I love the look of this and always wanted to make a rustic flag. I’ll probably attempt this next year. Thanks for sharing on Merry Monday. Love this so much. It would look great in my family room. I LOVE how this turned out – and I love the colors you used to make it. Beautiful! I have to go find some wood….. I love this!